We live to celebrate. No celebration is more special than a wedding. 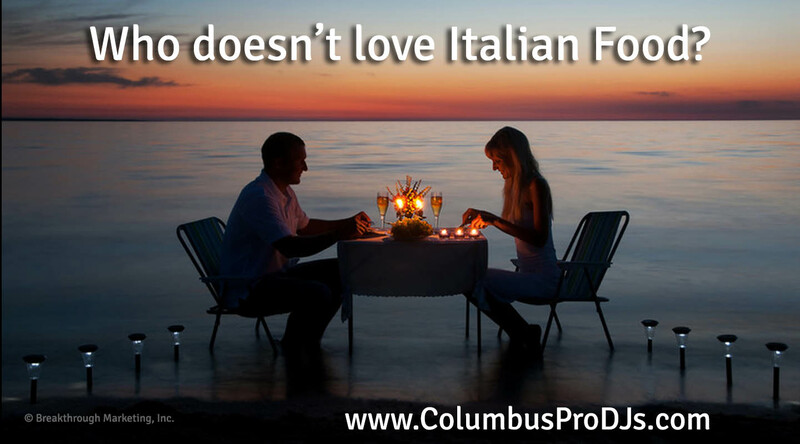 Columbus Pro DJs knows, because we specialize in wedding entertainment. But did you also know marriage is good for your health? It’s true! Another wonderful reason to celebrate weddings. But by the third year, they both speak and the neighbors listen. When you set aside the foibles of each of us and look at the longterm beauty of marriage objectively, you’re faced with a shocking realization: marriage is good for your health! According to research, you will actually live a longer, healthier life if you’re married. This research was conducted by Scott Haltzman, MD, who is a clinical assistant professor in the Department of Psychiatry and Human Behavior at Brown University in Rhode Island. 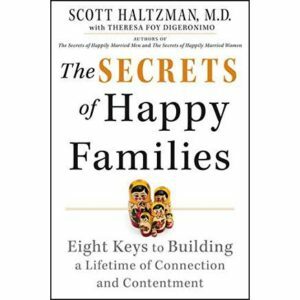 He is the author of The Secrets of Happy Families: Eight Keys to Building a Lifetime of Connection and Contentment. √ Live longer than single people. √ Experience fewer strokes and heart attacks. √ Have a lower risk of depression. √ Have a lower risk for advanced cancer. √ Survive longer when cancer does strike. √ Are better able to survive major operations. He looked at mortality rates for married women at age 45 years of age. They have a 90 percent chance of living to age 65 verses unmarried women who only have an 80% chance of living that long. The difference for men is even more dramatic. Married men live on average 17 years longer than single men! Marriage IS good for your health! Marriage is so therapeutic to men, that a married man with heart disease will live an average of four years longer than a single man with a healthy heart. And did you know that unmarried people spend twice as much time in hospitals as married people? Both unmarried women and men have much higher rates of depression than their married counterparts, but with men, the differential is glaring. Unmarried men are nine times as likely as married men to suffer from depression. Now, now Dave! Let’s remain positive! The research is in: marriage leads to happier, healthier, more fulfilling lives. Let’s celebrate! As you plan your wedding celebration, check out our wedding entertainment services, our fabulous event lighting, Columbus’ favorite Photo Booth, and our handy, online planning tools for our clients. 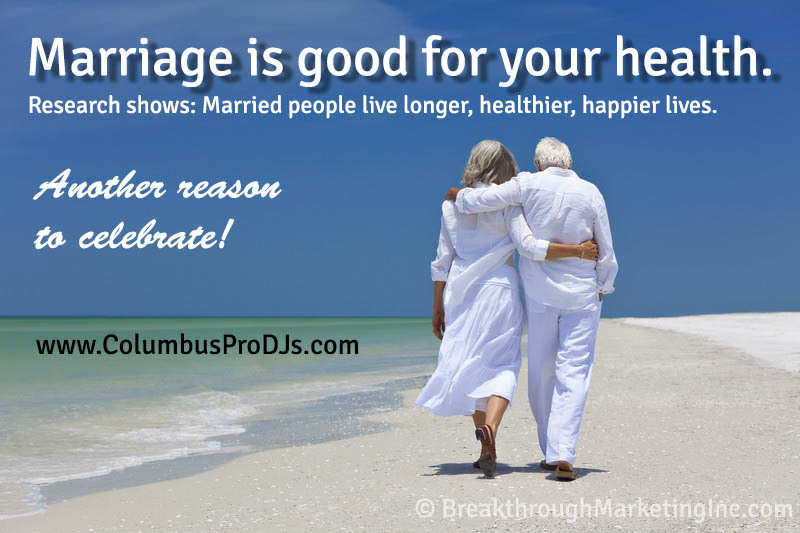 Columbus Pro DJs are the wedding celebration specialists you’ve been hearing about!